On to my own insecurity. For many of you out there, it’s going to sound like a rerun. My insecurity, or maybe I should say my biggest challenge currently is…time. 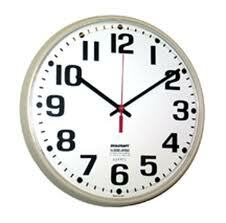 This is what my clock looks like. Normal, not intimidating at all, right? Don’t let it fool you. It’s an innocuous-looking disguise. Come closer. I’m going to share a secret. Okay. Let me show you what my clock really looks like. 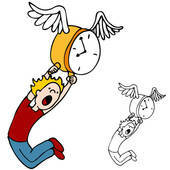 I have writing, editing, rewriting, reviews, and blog posts to finish, and do you see what my clock does every time? Seriously frustrating. Anyone else having issues with their devious clocks, or is it just me? This entry was posted in Uncategorized and tagged IWSG Kim Lajevardi. Bookmark the permalink. to happen at once. The likeliest of presumptions is that the major personality, Dracula is a reflection of the terrible Vlad the Impaler – Vlad Tepes leader of a ancient Romanian condition. I suggest hiding your clock. Then you won’t know if you’re running behind! Glad to know I’m not alone in the clock issue, gets me every single time. No, you’re definitely not alone. It’s a booger, isn’t it? I have a rebellious clock, too. But, little does he know, I’m cleverer. I’m going on hiatus soon, and then thinning out my blog schedule when I return. Yes, I have one of those clocks too. We really need to stake out the shop that sells them and steal the hands!! You are not alone! I would love to have more hours in the day! Lol. Cute post. Many of us feel this way. We’re all doing the best we can. Take it one day at a time. As Lexa said, you are a Superhero. I know I’m not alone, but it sure was fun to blame it on the clock. 🙂 Thanks for commenting. Thanks, Lex! Just have to figure out how to make the to-do list shorter. *Scratching my head* 🙂 I appreciate all of your support.